Florentina Dumitru and Stefania Bugan– the two members of team Connected won the Young Marketers Competition, after intense training sessions and rigorous selection, during the 13th semester of The Alternative School for Creative Thinking. 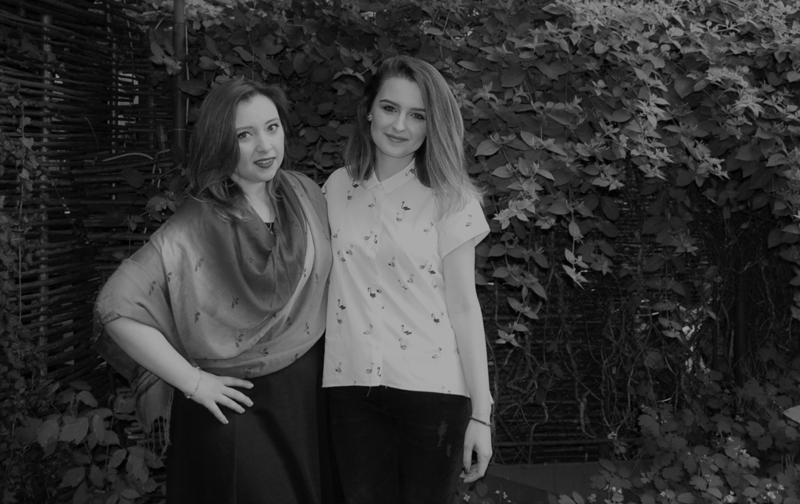 The two are going to represent Romania in the Young Marketers competition taking place at Cannes during the Lions festival, in June. They will compete with similar teams from all around the world. Under the pressure of a tight deadline, they will have to create the “perfect brief” meant to inspire the most talented creative directors and strategists from the Lions Jury. “Adventure is the word that best describes what The Alternative School for Creative Thinking ment for us. A roller-coaster that took us through a boom of ideas, a twirl in finding relevant insights, bungee jumping sensation for each brief for discovering the right solutions. The excitement and the craze were present before pressing the “sent” button each time. The essence of our team, Connected, came from diversity in terms of passions and professional experience. For us the brainstorming tasted like lemonade & tiramisu as we looked for bohemian places to work. For us this was the “magical formula” for finding the right ideas”, said the winners. At The Alternative School – the 13th edition have been admitted over 40 competitors from companies such as: Albalact, Altex, Golin, Glaxosmithkline, Electrecord, Henkel, Philips, Rogalski Damaschin, Vel Pitar, Skin, but also students from SNSPA University and The Faculty of Journalism from Bucharest, which received scholarships as a follow up from a competition held before the enrolment. During almost two months, the Alternative students had access to curated content via Dubai Lynx, Eurobest, Cannes Lions and Spikes. They had meetings with leaders from the marketing and business environment, local and international (WGSN, Publicis Paris), as well as access at two events from the industry – The Future of Marketing and The Best of FMCG, where there are enrolled over 20 Romanian and foreign speakers. Among the leaders who evaluated the teams there were Elena Markos – Business Development Manager – UK, IRL & CEE, WGSN, Hande Guler – Creative Director DDB Berlin, Tahaab Rais – Head of Planning & Strategy F7 MENA, Nicoleta Padure – former Romanian jury at Eurobest and Dubai Lynx festivals, Alexandru Haidamac – gold winner at the Young Lions Design competition, Alexandra Bombita & Andrei Chirisi – veterans of The Alternative School and members in Above 106 (the elite group of the school), Vera Gavrila – Strategy Director Media Concept Store, Filip Gonzacenco – Art Director Publicis Paris, Vesna Vlasic–Managing Director McCann Serbia, Tamara Kostro – PR Director McCann Adriatics, Alina Damaschin – Romanian jury at Cannes Lions PR 2017, Mara Cristina – Brand Manager MiniPrix and Florentina Taudor – CEO Renania, the long run supporter of The Alternative School and endorser for the winners at the international competitions. The portofolios all all teams were marked on a scale from 1 to 5, 5 representing the maximum mark. The final ranking looked like this: Connected – 4.06, Deep Watermark – 3.72, Ineratio – 3.67, Chicas Bombillas – 3.47, Elision – 3.39, Kaleidonorm – 3.17, The Antlers – 3.01, Airplane – 2.80, ImaginAd – 2.78.